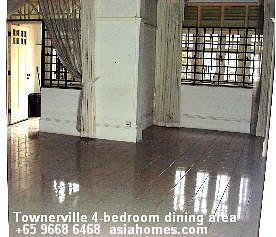 Research on Townerville for young romantic Caucasian expats is supported by Asiahomes Internet, affordable property internet ads for owners and agents. 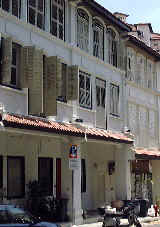 Remodeled 2-storey conservation historical townhouses inhabited by British officers when Singapore was part of the British empire. Also called "Colonial houses". Units were renovated in 1992 and are being upgraded. Located at: Towner, McNair and May Road, 2-min drive to Newton and Novena subways and 5-min drive to Suntec City. The new Boon Keng subway, a 2-minute walk, may be completed in 2003. This means you can go anywhere in Singapore via the subway. 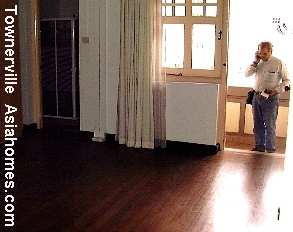 Wooden floor boards for the bedrooms instead of parquet or carpet, spacious master bedroom characterise conservation homes of the British colonial era. A big verandah (balcony) is much appreciated by Caucasian expatriates. 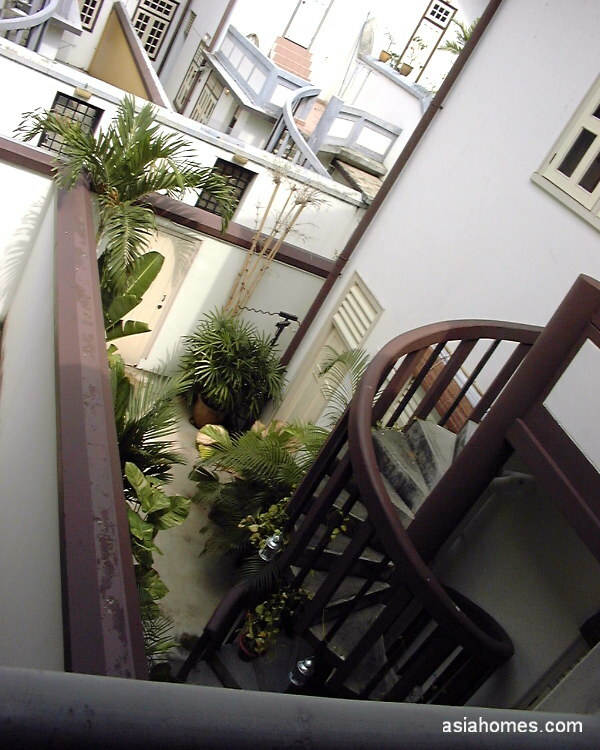 A "green" courtyard of a 4-bedroom townhouse. Bring nature indoors make for pleasant living in this unit. The 4-bedroom townhouse does not have a sundeck on level 2 as in the 3-bedroom (pink ceramic tiles, top right). You can see how pretty the Townerville townhouse can be, if you have good paintwork, potted plants to bring in nature and maintain it as in the picture of the backyard of a 4-bedroom above. 3-bedroom unit's backyard with sunbathing terrace seen from the 4-bedroom unit's 2nd floor. Some units are pretty as they are well cared and painted for by the Caucasian tenants. In the 3-bedroom units, there are 3 bedrooms upstairs. No long bath tubs but showers. The master bedroom has an attached bathroom while the other two bedrooms share a bathroom. They may face some HDB apartments but don't expect good views from houses. Sunbathing terrace at the back on level 2. This area can also be used as an outdoor barbecue or potted plant area. A lovely spiral staircase, characteristic of the heritage building of 80 years ago, leads to the courtyard on ground floor. 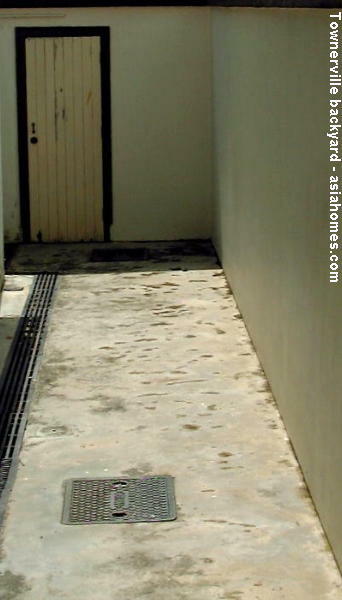 As there is no proper maid's room, a bamboo chick can wall off the large utility area to the left of the courtyard, beside the back door. There's a maid's bathroom near the back door. The courtyard (backyard) is quite spacious. A mobile long bath tub can be installed there as well if you want a bath tub, to bathe under the stars or sun. You can keep a big dog as well. Or just put potted plants to bring nature indoors (see picture on top of page). The picture shows the living area of a 3-bedroom townhouse tiled with white ceramic tiles. Wooden rafters characteristic of heritage houses built in the colonial days of Singapore. Abundant and lush landscaping outside the house with sufficient car parking lots. Modern air conditioning. Tranquil surroundings to stimulate your creativity. A small garden plot at the front of the house may be important for Caucasian expats who want some green plants or create a mini-koi-pond garden. Huge dining area in the 4-bedroom colonial houses but the smaller units have good-sized floor areas. Light-coloured white or grey ceramic tiles for the flooring. The master bedroom does not front the main road but the bathroom is not that big compared to Niven Road heritage pre-war townhouses. More pictures at: Townerville Research Report. Niven Road heritage pre-war townhouses. 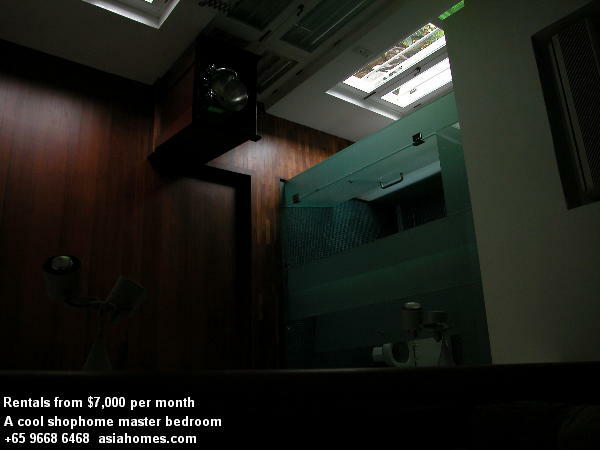 15-min walk to Dhoby Ghaut subway or Orchard Road. These have marble tiled living areas, modern and spacious bathrooms and kitchens, long bath tubs. No garden plot or maid's room. 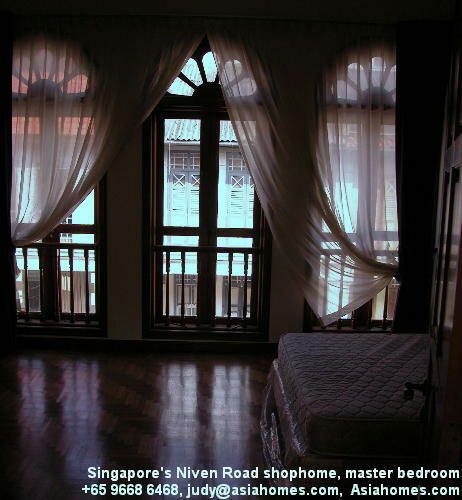 Please note that the master bedroom faces the Niven Road. KIM YAM 3-bedroom 1600 sq. ft shophomes for rent. A rent of >$10,000 (two shophomes combined with indoor pond). The kitchen is small and may be at a corner of the living area. Upstairs there are 2 bedrooms, while there is one downstairs. An airwell brings in natural daylight. 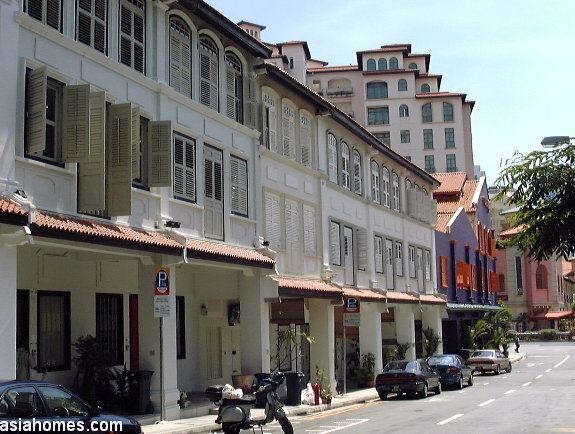 Upscale cool and trendy shophomes are rarely seen and rent from $7,000 - $20,000 and some are located in Emerald Hill, Cairnhill, Everton and Blair Roads. 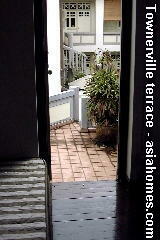 Park Avenue Residences, townhouses of 3 bedroom, off Kim Yam Road, for rent, fully furnished. Other Unique homes are available for rent too. Want to rent Townerville colonial houses? A large community of mainly younger Caucasians who don't need a long bath tub. 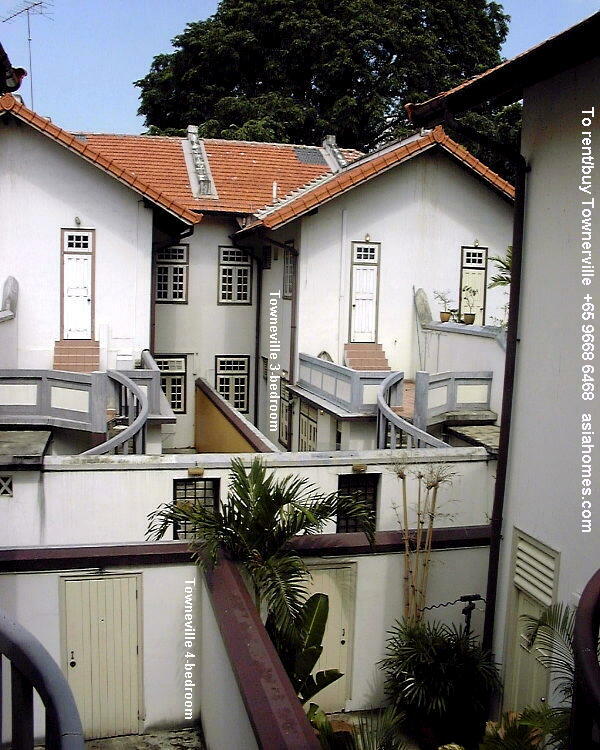 Expatriates who really need a long bath and air conditioned living and dining rooms will not find these Townerville colonial houses suitable unless they are willing to rent standing bath tubs which may be installed in the long corridor at the back courtyard. 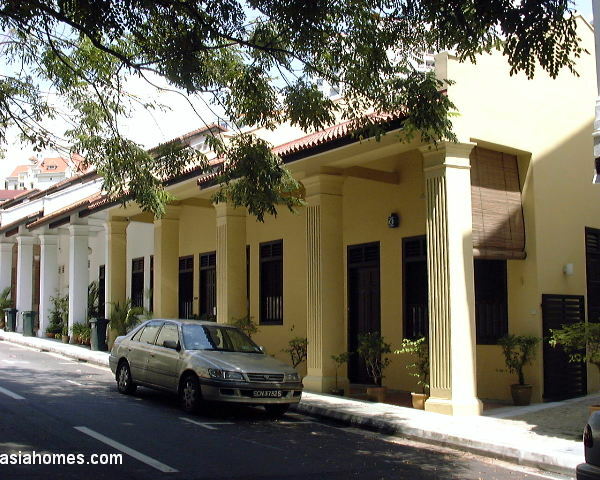 Email judy@asiahomes.com or tel: +65 9668 6468, 6254 3326 to view the spacious and affordable Townerville colonial houses or the Niven Road conservation houses if you want long baths and marbled flooring. We can schedule evening and week end viewings too! Other Unique homes are available for rent too. For more information on FREE house-hunting for expats relocating to Singapore, email Judy@asiahomes.com tel: +65 9668 6468. Tel: +65 9668 6468, 6254 3326, 9668 6469.